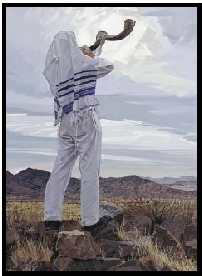 Is God stirring your spirit toward Messianic studies? Do you long to see the continuity between the Old and New Testaments and understand the implications for New Testament believers? Our Hebraic heritage is not about becoming culturally Jewish. The power of our Hebraic heritage is about becoming biblical with a hermeneutic that spans all of the Word, not just part of it. It is all about thinking and living more like Jesus. It is about making the Word of God come alive in such a way that it can be lived by every believer and in which Jesus is the center of all things! If this sounds like what you are looking for, Biblical Life College and Seminary has designed a Bachelor of Hebraic Heritage Studies program through online studies just for you! The Bachelor of Hebraic Heritage Studies degree program is for a Spirit-Filled minister that has already completed the Associate of Biblical Studies degree or equivalent. If you currently have an earned Bachelor of Arts or Science in a secular field, you need to review our Master of Divinity in Hebraic Heritage Studies. The Bachelor Degree represents your last two years of Bible College: the Junior and Senior Years. Therefore, we have divided the Bachelor of Biblical Studies into two one-year programs: (1) the Advanced Diploma in Hebraic Heritage Studies and (2) the Bachelor of Hebraic Heritage Studies. With over twenty-five years experience in training ministers through on-line studies, we have found this one of the most effective ways to optimize your studies. With the Bachelor of Hebraic Heritage Studies at Biblical Life College and Seminary, you can set your own pace in the program. This is the beauty of online studies. We all learn at different speeds. The goal is not to advance in the program as fast as possible, rather it should be to learn as much as possible to gain the tools and resources to change the lives of those you minister to! So find your own pace, but don't rush through and short change your education and ministry. John D. Garr, Th.D. Ph.D.